Production of the First Daughter’s fashion line has come under scrutiny. 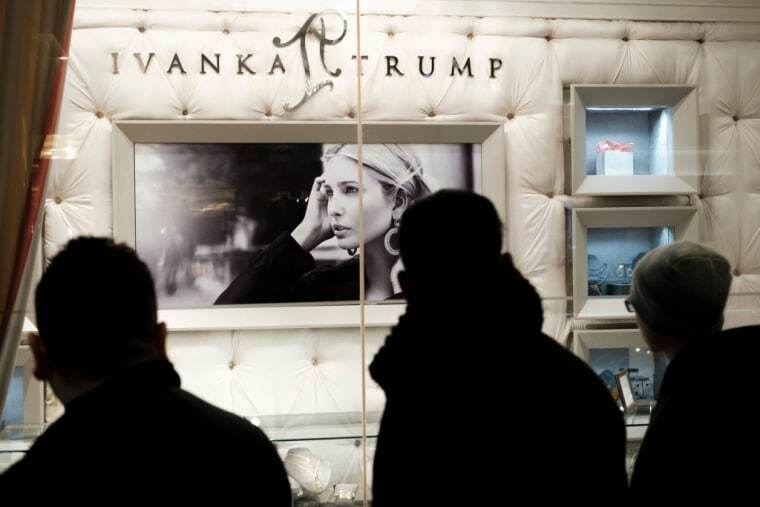 Labor conditions in a clothing factory in Indonesia producing Ivanka Trump's clothing brand have been revealed in a new report by The Guardian. More than twelve workers at the Subang, Indonesia factory said they were verbally abused by bosses, "paid one of the lowest minimum wages in Asia," and worked unpaid overtime. Labor rights activist Jim Keady called the compensation "poverty wages" and remarked "[J]ust because something is legal, doesn’t mean it is moral." Workers at the factory make the legal minimum wage of 2.3 million rupiah a month, about $173. However, employees are routinely cheated out of paid overtime by their bosses to cut costs and help meet unrealistic production targets: while official figures claim that the factory produces 27 to 40 garments every 30 working minutes, The Guardian found that the actual figure is somewhere between 58 and 92 garments. “The management is getting smarter," a worker named Wildan told the newspaper. "They tap out our ID cards at 4pm so you can’t prove anything." Workers also reported being called names like “animals, moron and monkey” by their overseers. Low wages results in separated families. Three quarters of the factory's 2,759 workers are women. "[Many] are mothers and several... devote almost all their income to children with whom they can’t afford to live." When they can afford the gasoline, Alia and her husband travel two hours by motorcycle once a month to visit their children, who live with their grandparents. It is custom for workers to be fired before Ramadan and rehired afterwards, despite a law mandating workers receive a holiday bonus depending on their religion and seniority. One union leader claimed that as many as 290 workers were fired in May 2017. The conditions of the factory creating Ivanka Trump's clothing line is at odds with the entrepreneur's personal brand. Her new book Women Who Work is billed as a self-help guide for women to achieve domestic and professional goals without compromising. The overarching irony was not lost on Alia, one of the factory's employees. "When Alia was told the gist of Ivanka Trump’s new book on women in the workplace, she burst out laughing. Her idea of work-life balance, she said, would be if she could see her children more than once a month." The Ivanka Trump brand’s public relations company declined The Guardian's request for comment.